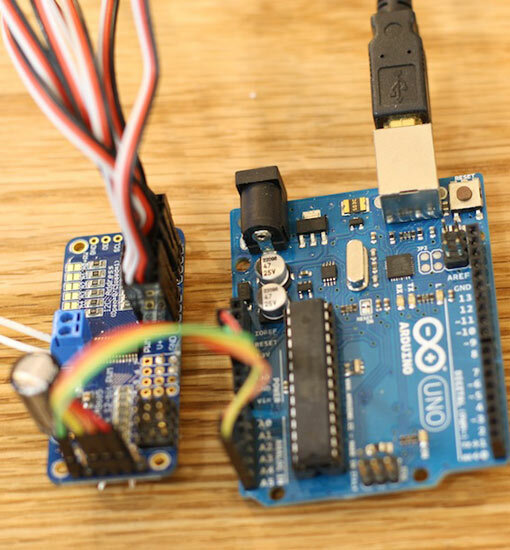 A personal project while studying physical computing. I explored the concept of architectural interiors reacting to human movement. Additionally, because natural light—a vital part of health and well-being—is often forgotten in this working-class culture, I wanted to focus on inviting sunlight into interior building spaces while creating an interactive space that is sensitive to the existence of the people within it. As a proof of concept, I designed a laser-cut pattern onto mirrored plexi and affixed the mirror facets to soft Tyvek material. 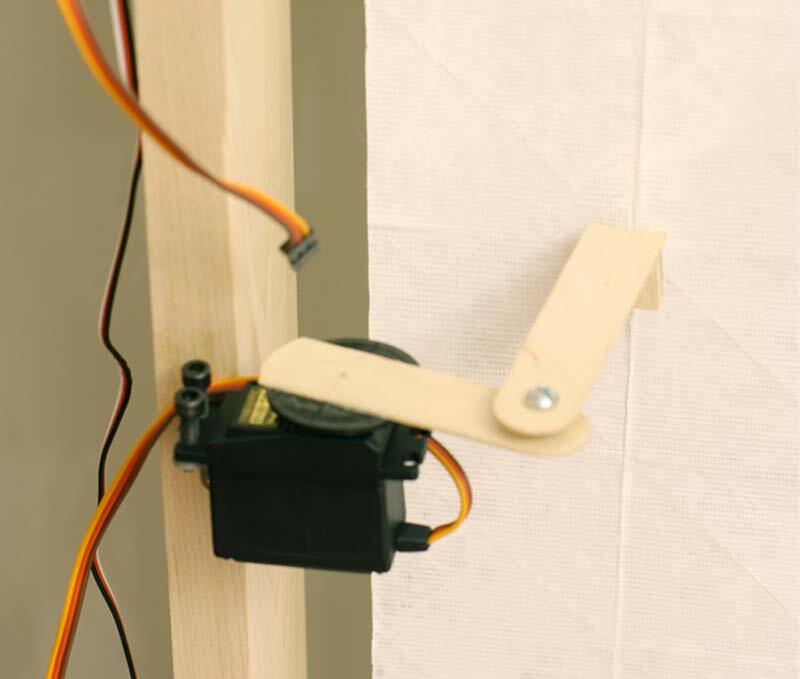 A Kinect sensor detected movement, while servo-motors behind the mirrors created a flowy motion based on calculations of passerby positions and moment. The result was a shimmer of reflected light trailing passerbys. 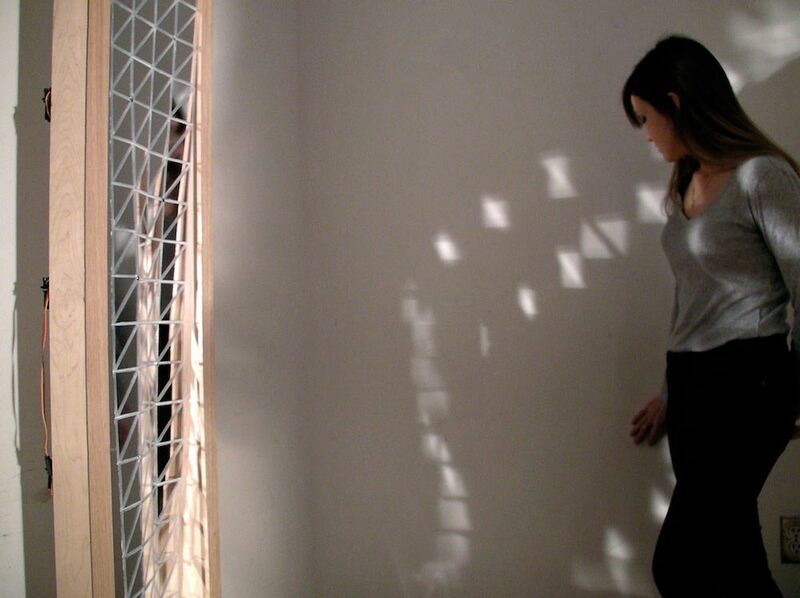 Light has the ability to change the ambience of interior spaces. By using a bit of technology we empower the building to play with light and connect with the presence of the inhabitants. 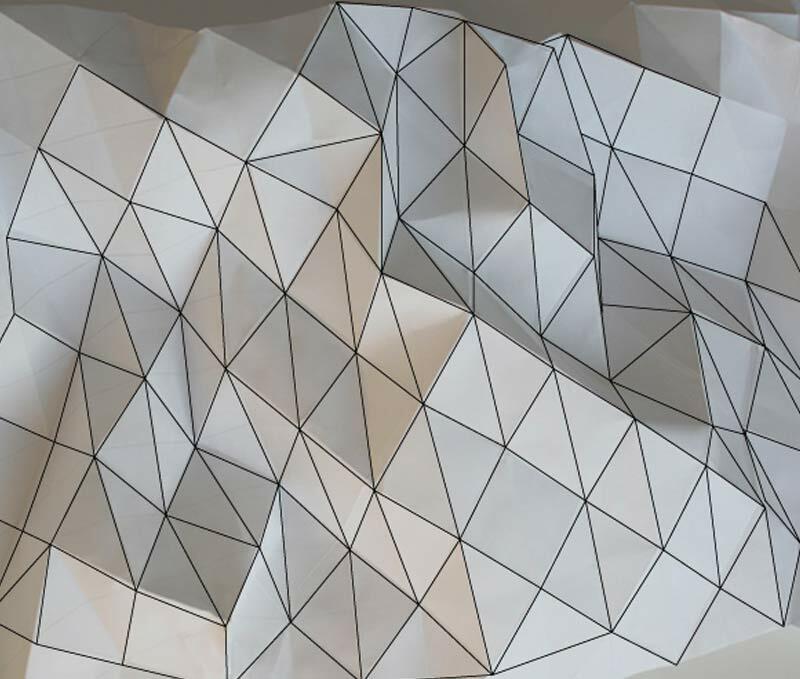 Future buildings might be sensitive systems that breathe and respond to the people within it, whether simply responding to motion or to the collective well-being of the people. I hope that we can unlock the interactive potential of architecture and the design of spaces we inhabit daily, in an effort to reconnect us to a consciousness of health and nature while we continue to go about our working lives. 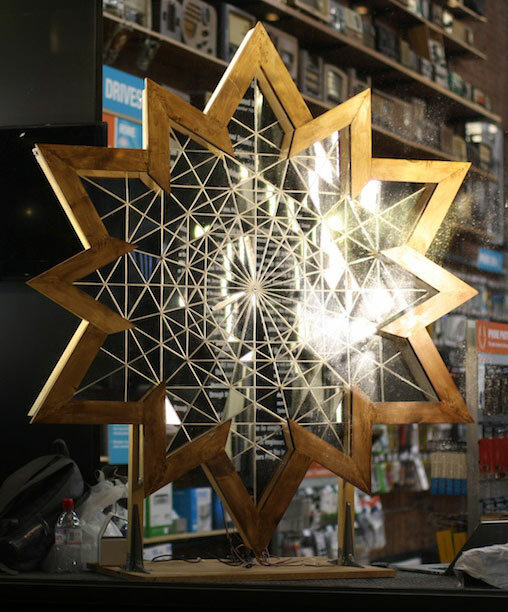 Shortly after this thesis project, I was contacted by Tekserve to create an interactive window installation with a snowflake shape. It was called the Make Art Happen event. I titled the installation Origami Snow. 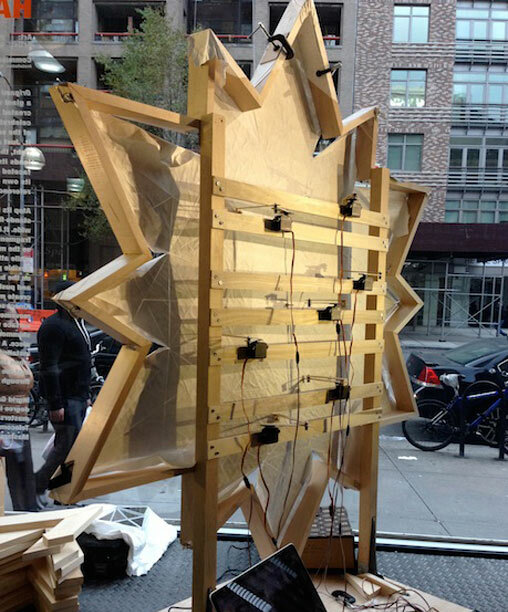 A part of this art project was to build the installation in the window over the course of several weeks to exhibit the work in progress in public. 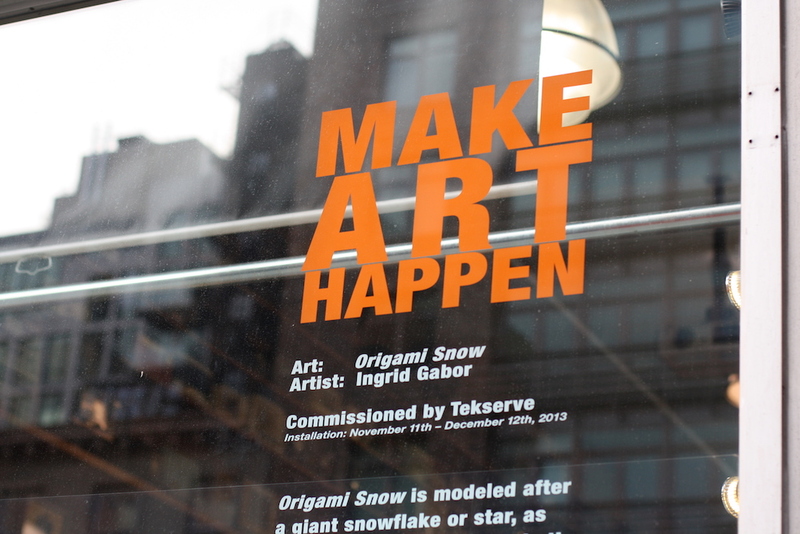 "Atop its base, Origami Snow stands five feet tall by four feet wide. 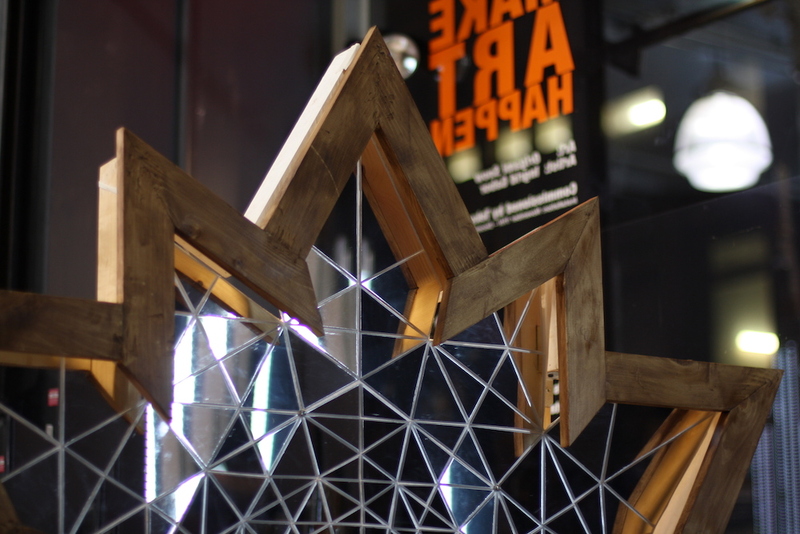 It is covered in mirrored fragments, laser-cut and beveled so the mirrors can move freely while attached adjacently to a flexible polymer. 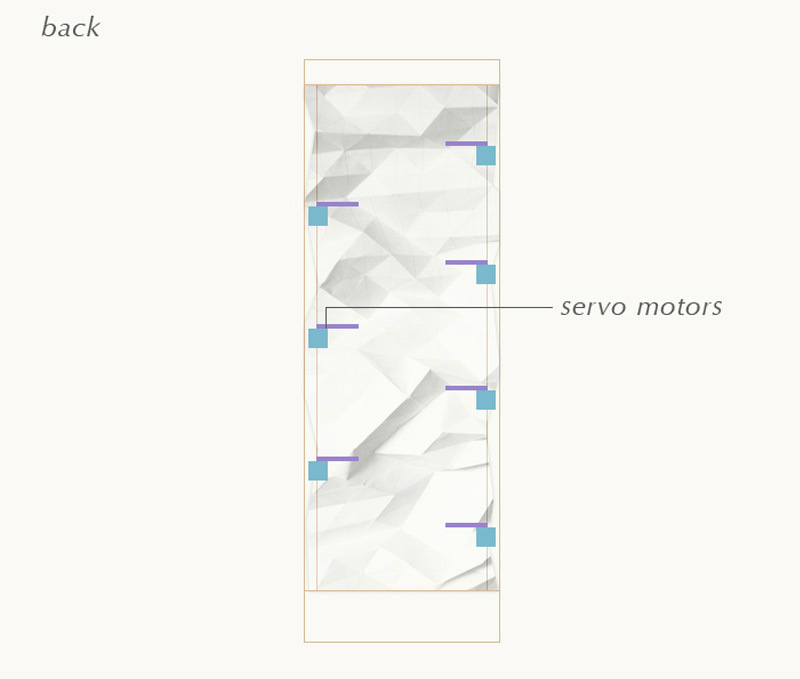 Servo motors on the back of the sculpture pull and push on selected nodes to create movement in the mirrors. 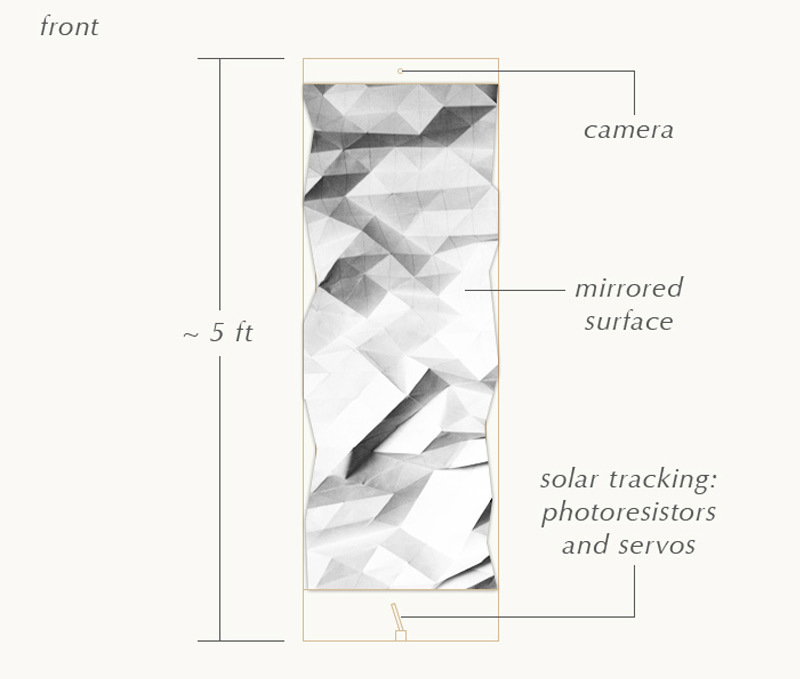 Kinect sensors will detect street movement, and the mirrored surface will react, sending shimmers of light across the piece. 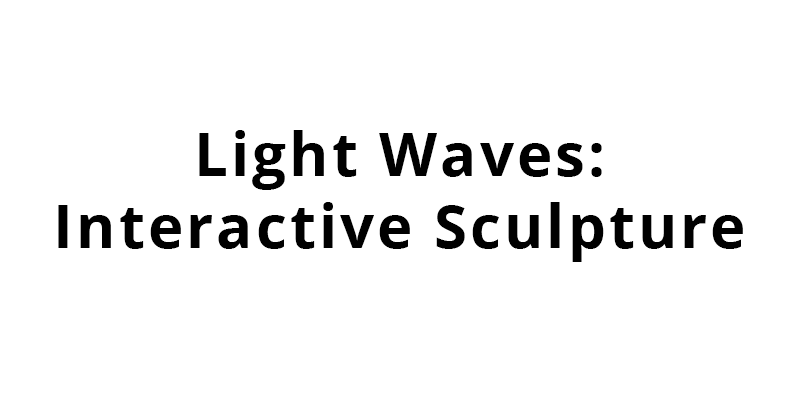 A default feature will be installed to provoke movement when there is no activity - so that the sculpture may be 'alive' through the night."